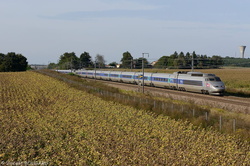 TGV IRIS 320 near Beynost. 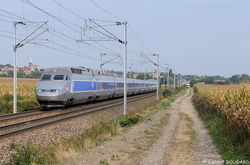 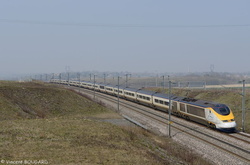 TGV Eurostar 3221 near Beynost. 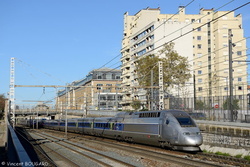 TGV AVE 15 at Lyon. 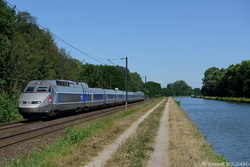 TGV IRIS 320 near Niévroz. 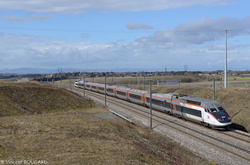 TGV Duplex 4727 at Lyon. 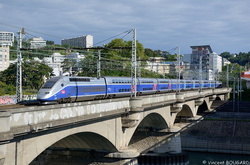 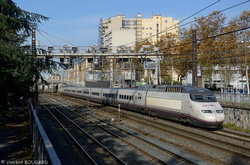 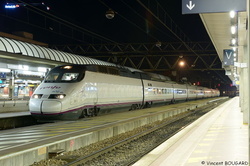 TGV AVE 20 at Lyon-Part-Dieu. 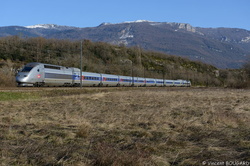 TGV POS 4408 near Artemare. 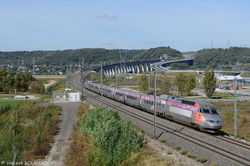 TGV POS 4406 at Lyon.